This set takes classic's rather limited design possibilities and moderately expands them. 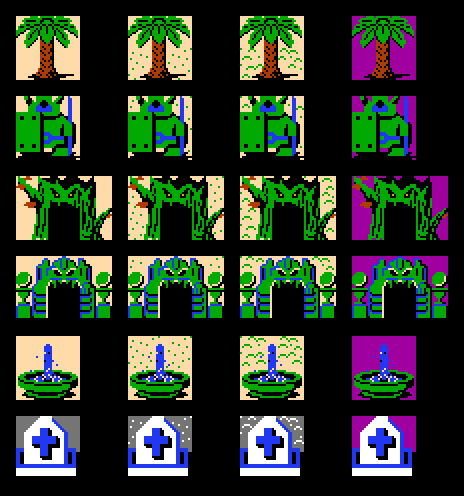 Step 1 was creating combos for most of the unused tiles scattered around default classic's tile pages. Step 2 was tweaking existing resources and adding further variations of them, whether graphically or functionally. Step 3 was farming new resources from PZC's loose tiles and tileset database collections. 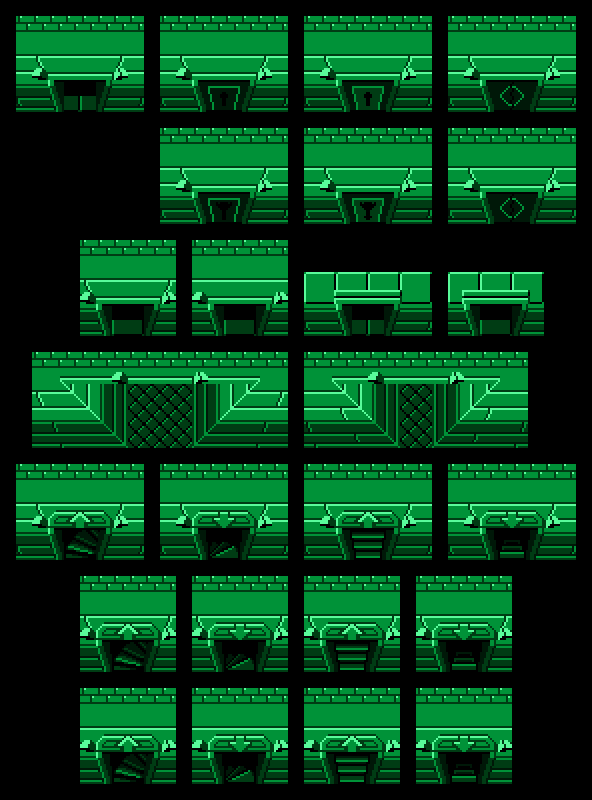 Step 4 was me still not being satisfied with the possibilities and designing a bunch of my own tiles to compensate. Do note that the farming process involved more than merely dumping every 3-colored tile from the database into the set. There's some level of quality control, and a priority focus on resources that, in my opinion, fit the classic style. Wasn't this called "absurdly expanded" last year? Yes, and that's still happening. However, due to my Z3 Module contributions taking far longer than anticipated, and with ZC 2.55 still lingering in alpha phase, I'm releasing a downsized version of the set for ZC 2.53. The most significant cut was the 2nd-tier-down dungeon material, but trimming was done in every area. The moderately expanded set now fits comfortably within 2.53's limits, whereas the absurdly expanded set will take advantage of 2.55's extended resource counts, most notably combo aliases and tile pages. What exactly is in it? Despite being a reduced set, there's still plenty of new and revised content. · Overworld expansion includes more mountain and cave variations, smoothly-contoured cuttable grass and ground detail, ladder assortments, extra large objects, new objects like fountains/bones/signs/docks/piers, additional tree/cactus/dungeon-entrance variations, snow-covered scenery, flowers, statues, and weather effects. Water variations have also been expanded, objects like lily pads/flowers/logs/stalks can be placed on them, and obviously no liquids collection is complete without lava and ice. There are also functional objects which have options for push, damage, pound, hookshot, block, walkability, and so on. Lastly, nearly every object comes in layerable format. 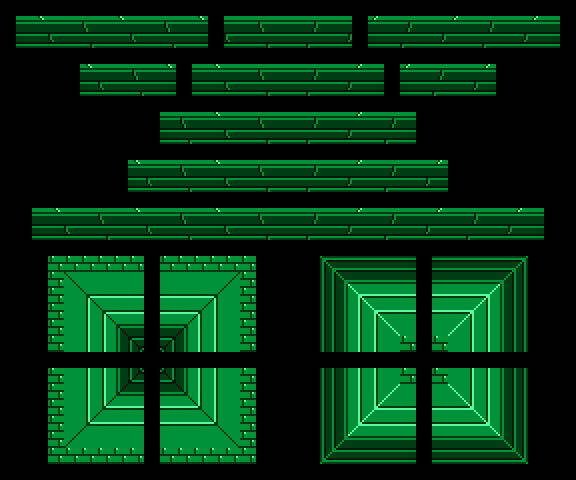 · Dungeon expansion built upon Lightwulf's diagonal and first-tier-down dungeon tiles, growing to include ladders, centered and off-centered doors, lock block variations of doors (with shutter copycats for each), re-perspective'd frames for the sides of rooms, alternate passageways and overheads, more stair options, door-stairs, and bombable wall options with hints. 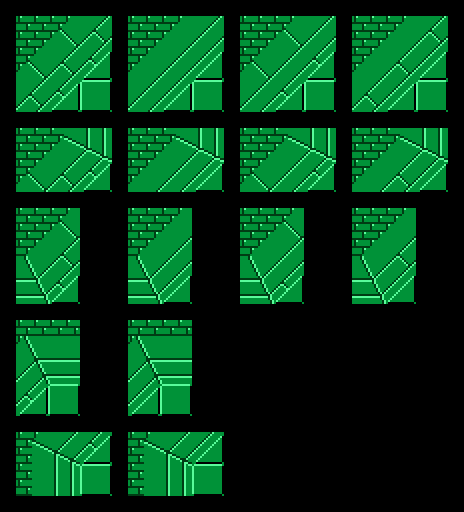 Note: due to unanticipated excess of tiles required to line up bricks, all dungeon wall segments have been split into "basic" and "expanded" sections. Basic should cover most fundamental designs, while expanded will cover nearly every awkward shape imaginable. · Floors now have on/off warp tiles, more conveyors, and additional options for object-switches, step-switches, spikes, statues, lock blocks, and treasure chests. 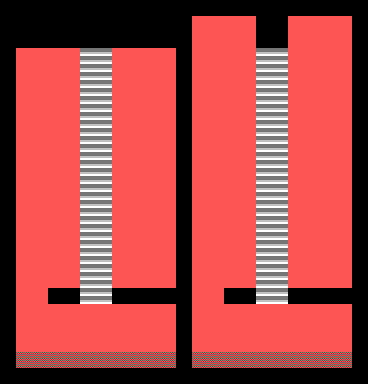 Cycling floors have been expanded to 16 levels of falling and spinning tiles rather than 8, and now include alternating raised/lowered blocks, alternating magic-mirror angles, spike waves of up to 4 different speeds, and number overlays so that you can create a temporary overhead layer to keep track of all these same-looking tiles. 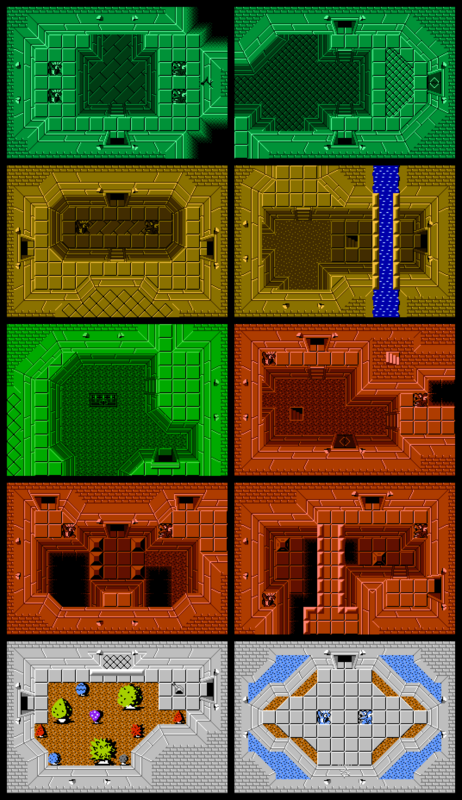 Other things include 16 push-block choices for block puzzles (with multi-directional options using both inherent and on-screen flags), 3 sizes of triforce flats for small tiles or large entries, 3 pit varieties in fall-warp/no-walk/walkable options, barriers in 8-pixel and 16-pixel widths, the latter of which include standard, lock block, boss lock variety and copycats of each, and a nature segment adapting certain overworld combos for indoor use. And as with the overworld, anything that can come in layerable format, does. · Automated modes like Relational and Dungeon Carving have their own dedicated sections that include everything from mountains to water to pits to barriers and beyond.These appear at the end of the standard combo list rather than scattered throughout, and form the first of four "addendum" sections. · Activatable objects form the second "addendum" section. They include Lockblock door-stair variations for all 4 warp options, and copycat walls and floors for 6 different activation options. 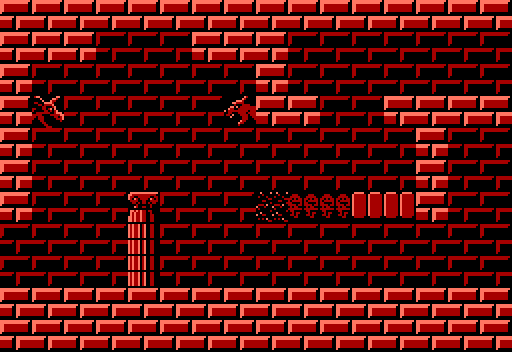 The walls are set to trigger ladder building, and the floors can trigger shooting statues, raising spikes, raising/lowering blocks, warp gates, and conveyors. The 6 activation options are Step->Next, Lockblock (Normal), Lockblock (Boss), Treasure Chest (Normal), Treasure Chest (Locked), and Treasure Chest (Boss Locked). Combine with screen state carryovers for large-scale changes. · Archives form the third "addendum" section. I have no intention of expanding or supporting Outlands dungeons or default classic's cobbled-together sideview hackjob, but for anybody who likes them, they remain available. 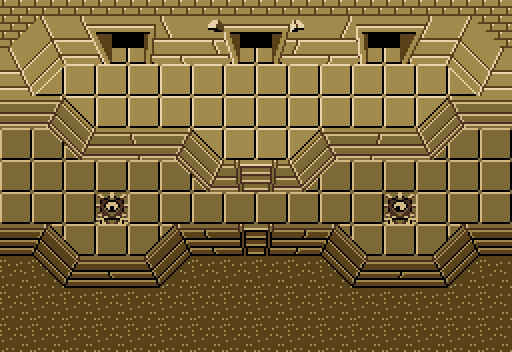 The Zelda 1 dungeon archive has the lower level walls marked "No Flying Enemies," a setting which was removed from the new primary combos to allow for flying enemy mobility in 1st-tier-up constructs. · Zelda II graphical support forms the final "addendum." 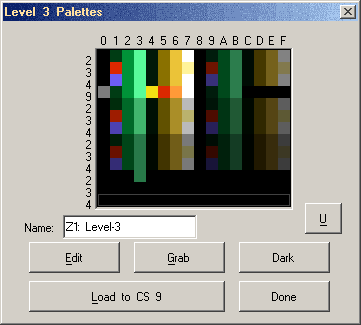 All areas and palettes from Z2 are represented in a collection at the end of the combo list. Have fun getting sideview to play well though. Here we have the core component of this set. For those unaware, aliases are collections of combos which form a larger structure. They allow each combo to be placed simultaneously, in the correct position, and on the correct layer. They're the ZC equivalent of what would be called "prefabs" in modern game editing. Just go to alias mode, select the structure you want, click where on the screen you want it, and there's your multi-combo structure. To that extent, I've assembled an incredibly large collection of aliases so that people can build large pieces of architecture with a single click. This makes complex structures accessible for intermediate users, and quick for advanced users. My goal of the set, particularly when it comes to dungeon design, is to move people away from building screens combo-by-combo, and push them toward placing multiple large structures, only using the combo list for fine-tuning and floor designs. 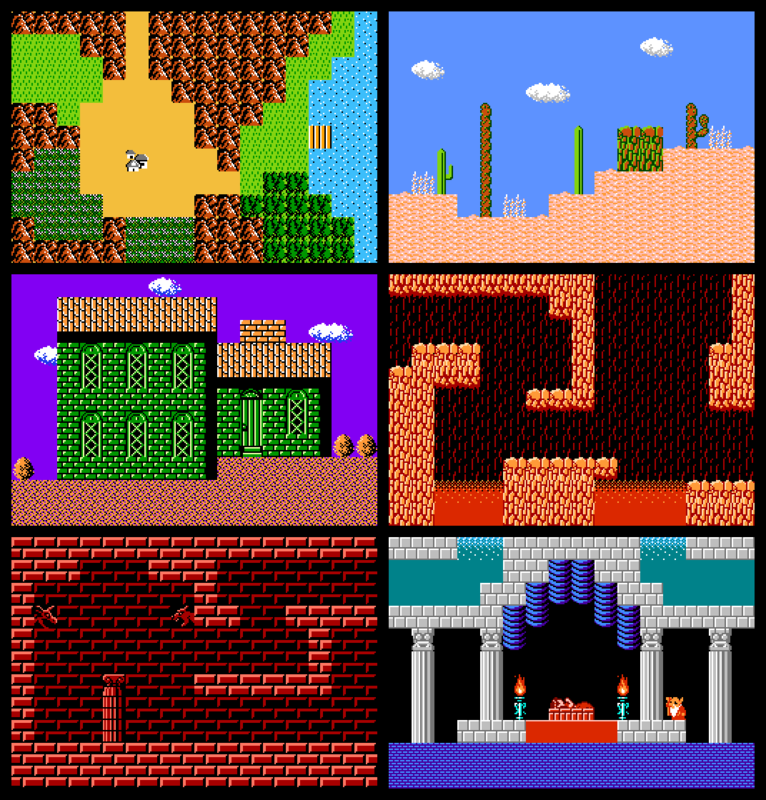 Most overworld objects are organized by solid background, sandy background, wavy background, and layerable. Most layerable objects require layers 1 and 3. Ever see that miscellaneous inter-tree junk in the combo list and wonder how it all fits together, let alone how to work corners with it? Don't worry, I got it taken care of for you. 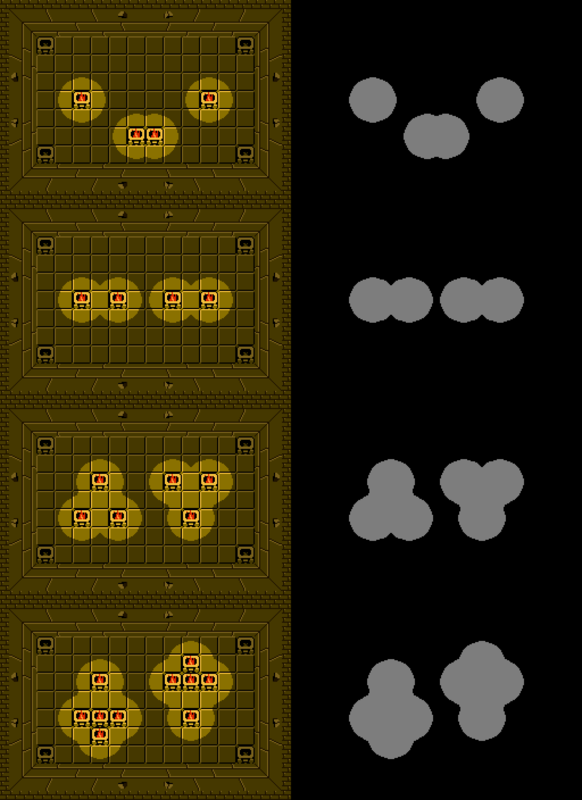 · Dungeon wall arrangement makes sense. The default classic setup is on the left. My new one is on the right. · Tweaking existing resources. What I meant when I said that. 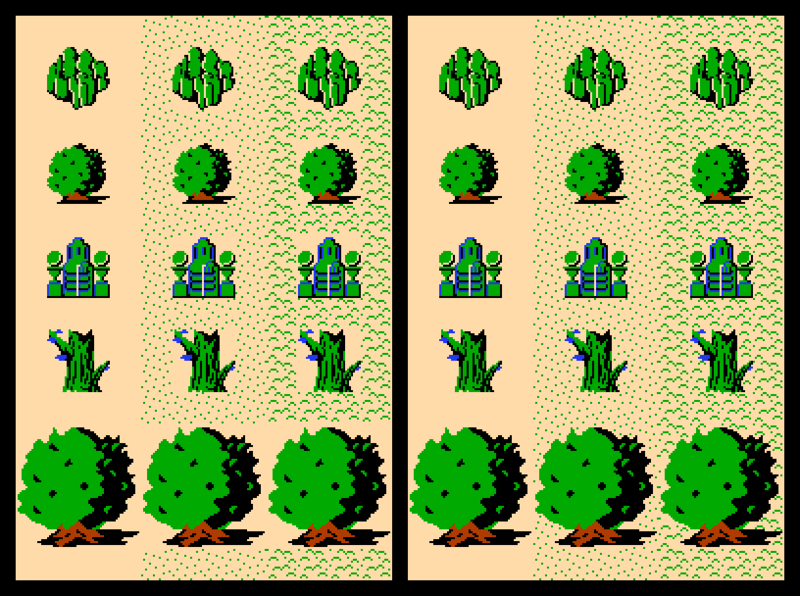 Example 1: original tree on left has large 2x2 "pixels" from being upscaled; tweaked tree on right is smoothed out to eliminate blocky upscaled look. 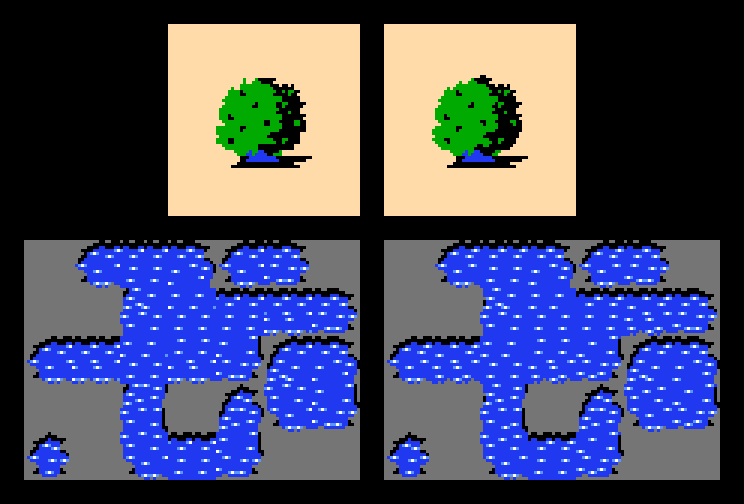 Example 2: original animated water on left has 3-pixel-wide water ripples that get cut off by 1 or 2 pixels, often multiple times, on nearly every tile with a horizontal connection to any other tile; tweaked animation on right eliminates this clipping. · Further variations of existing resources. What I meant when I said that. Those blank ground patches next to large objects placed on detailed ground tiles? Yeah, I can't be the only one getting triggered by that. And no I didn't just overlay the objects onto the grounds; the grounds were adjusted to accomodate the objects so as not to blend into them in odd ways. · Solid blacks are solid. Many default tiles were imported with no regard to which blacks were solid and which were transparent. I've sorted that. Enjoy your layering. · Dungeon cellar ceilings are solid. Now you can't warp to inaccessible or non-existent screens by walking across the top of item cellars or passageways. · Reperspective'd side doors. People keep hurting my eyes by placing center doors at sides of rooms. These should help. Unfortunately, I can't get door panels to match this perspective with ZC's limited resolution, so these doors are open only. If anybody else wants to try, feel free. · Heart and Magic Meters have 1/8 accuracy and no numbers. They also have gray placeholders to show max container count. If you don't want placeholders, edit CSets 0 and 1 and replace color 7 with black. This file was built from an old quest. I've reverted most of my changes, but there's still a few lingering leftovers I haven't trashed yet, so don't mind any misplaced custom data entries, they'll (mostly) be gone soon. The set is fairly close to the best I can get it on my own. Unless people have further comments or suggestions, this is likely what will be officially released. As the expo run its course, I'll address any feedback, then post the final revisions to the database once it ends. Edited by Lüt, 28 October 2018 - 02:32 PM. You might actually have sold me on Classic. Somehow. I'll give it a try sometime. It looks relatively modular too which is a big plus in my book. Finally looked through the entire post. Looks really good. I'll likely start using this, though I've already started on my next quest with the much lesser default version of Classic. Only ones I don't like are the perspectived dungeon doors, but I don't personally have an issue with the centred doors myself, so that's not really an issue for me (maybe for you, though ). I've probably said it before, but I deeply appreciate all the time you've taken to create such a massive expansion like this, this is truly amazing. I can see this being so very useful for anyone working with classic, and I will definitely be playing around with this when the complete version is done. This is the magic I work. tbh you can actually come up with some rather unorthodox structuring using layerable components with FFCs and walkability blocks. But even with standard layering, the amount of structural and CSet mix-n-match possibilities can keep things pretty fresh. Helps that Z1's distinct colors make level and sprite CSet swapping relatively seamless. Thanks, it probably shouldn't prove too hard to port if you really needed to. Might just be an issue of aligning the combos between sets for a map export/import. I could look into it once it's final if you want. Hopefully it's got enough variety to serve you for a few quests. Anyway, sorry for the delayed response. Script pack took 2 weeks instead of 2 days to sort and finalize, and I've done a fair bit more work on RC2, so hopefully that can be up later this week. We all know ZC transparency is garbage by default, yet it can be manipulated to some degree of accuracy. 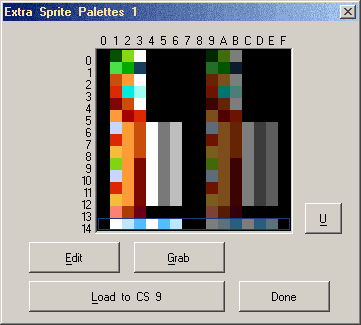 That degree depends on how many blank color swatches you have in your main palettes, level palettes, and sprite palettes. In theory, ZC processes transparency by calculating the true-color combination of the original color and the overlaid color, then rendering the closest available color in the 8-bit palette, meaning that if you manually feed it the correct colors, it should render transparency accurately. Unfortunately, ZC's initial calculations aren't always very precise, and it generates some incredibly off color choices when processing similar and low-contrast colors. Fortunately, that's not a problem with classic's distinct and high-contrast colors, and because no palette uses more than half its available swatches, every single color can be manually accounted for. Some changes are blatant, others are subtle, but take a minute to note the full differences. I suppose at this point it would be a waste to not support atmospheric torch lighting in dungeons, so if anybody knows any good torch and pulsing-shadow-circle tiles, let me know so I can include them in RC2. Are all of the default classic assrts intact, and in their original positions? 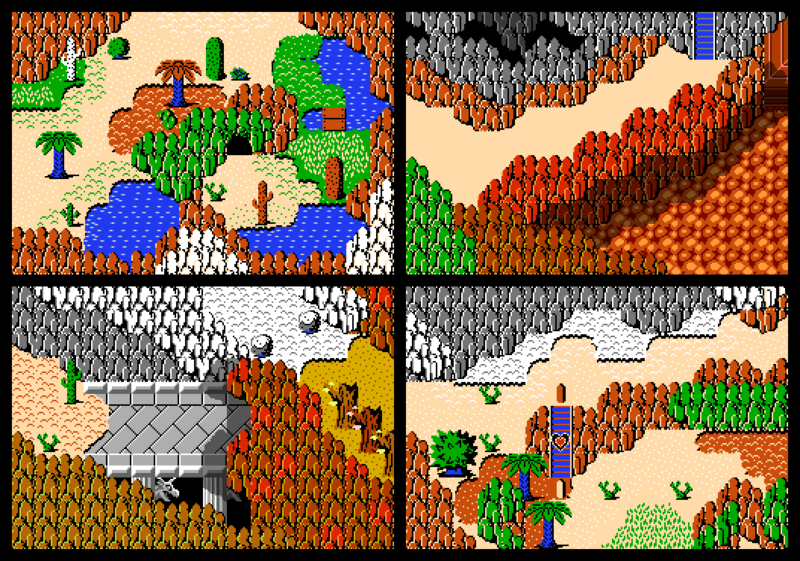 If so, then I may go in and replace the old classic tileset with this one in the Classic Module. I know you did some trimming, but is there any way you could include the 2nd tier lower walls in some form for the 2.53/2.50.2 version? 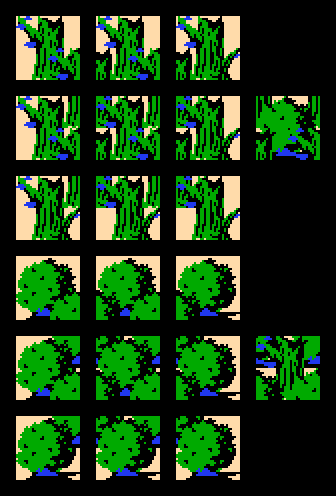 Like, as a png file, or as unmapped tiles, or even just as combos but very out of the way? Stuff like that is what excites me the most about this set, and it's disappointing to hear they were cut (presumably because of the alias issue; especially since I'm not big on alias's anyways and prefer lacing tiles manually cause I'm weird). I've done a fair bit more work on RC2, so hopefully that can be up later this week. ...and then obnoxious neighbors force a conflict that invokes my homeowners association as an intermediary and my mom ends up in the hospital (incidents unrelated). At this point, I'd say the set is 98% complete. I'm going to do extensive testing over the next few weeks to find any remaining glitches or oversights I may have made, and implement any final tweaks I can come up with. Still, I'm confident enough in the status of RC2 to say that anybody who's interested in making a quest using the set, can download it and get started, and if there's any further updates and optimizations that end up in the final release that you would have wanted in your quest, you can send me your quest and I'll port them over myself. 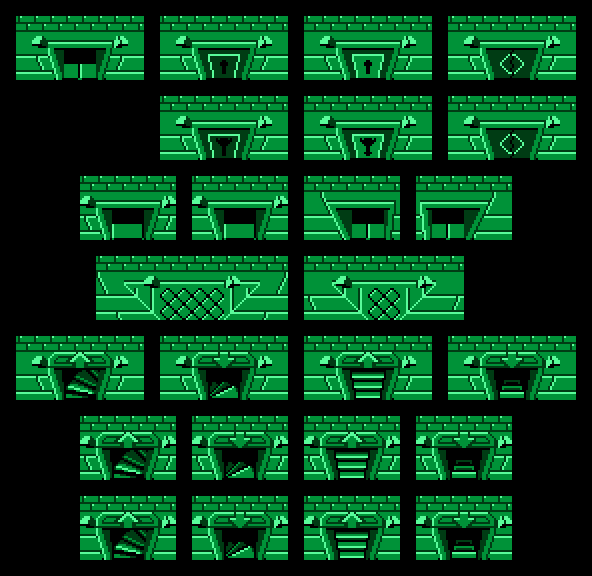 · 20 more sample screens showing the set's full design capacity more accurately. All screens are "functional," and some dungeon screens even have secrets, so press "x" and "s" to preview and reveal them. Shoutouts to klop422 and Anthus for more-or-less contributing the last 2 screens. · 50% shadow support in palettes. As seen in my previous post, transparent shadows now render in true color due to expanded palettes that include accurate shadow calculations for all colors in the game. · Torches & layerable light bubbles. Taking further advantage of 50% shadow support, torch kits for overworlds and dungeons are available and come with light bubbles that can be contoured to any kind of lighting arrangement. 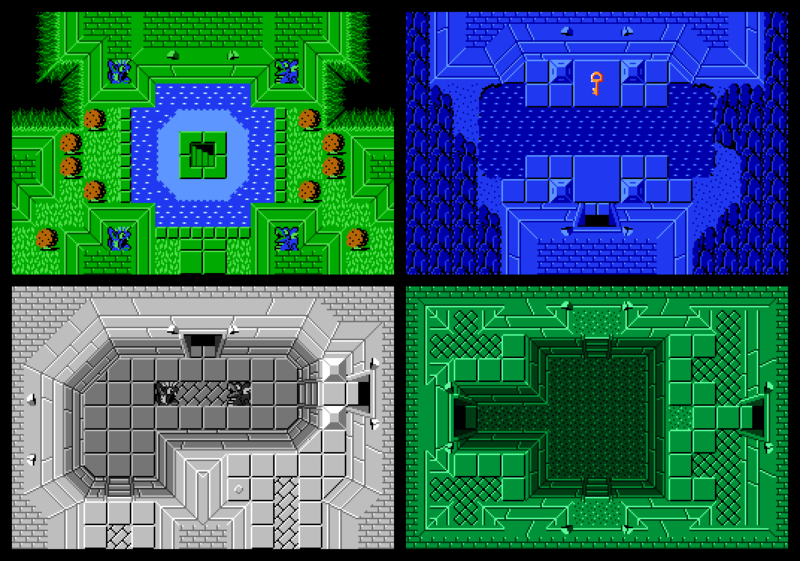 · Overworld/dungeon combo palettes. 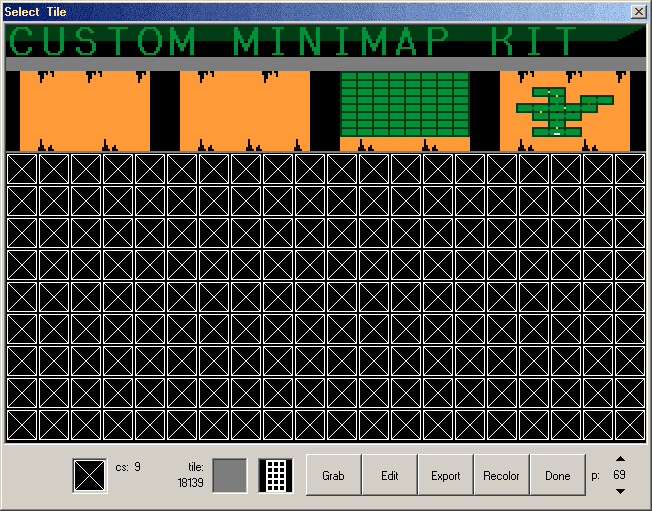 Use CSets 2 and 3 for regular overworld tiles and CSet 4 for dungeon tiles to create hybrid screens. · Subscreens completed. 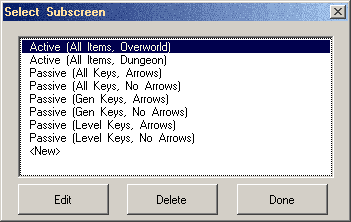 The active subscreen now accounts for all items, and comes in "Overworld" and "Dungeon" options (the only difference being Link's position doesn't display in the "Overworld" large map, which prevents spillover into the item selection box), while the passive subscreen now has 6 options accounting for what kind of level keys you use and whether or not you use the "True Arrows" quest rule. Pick the passive one you need and delete the others. · Link's color now displays on the active subscreen's large map. 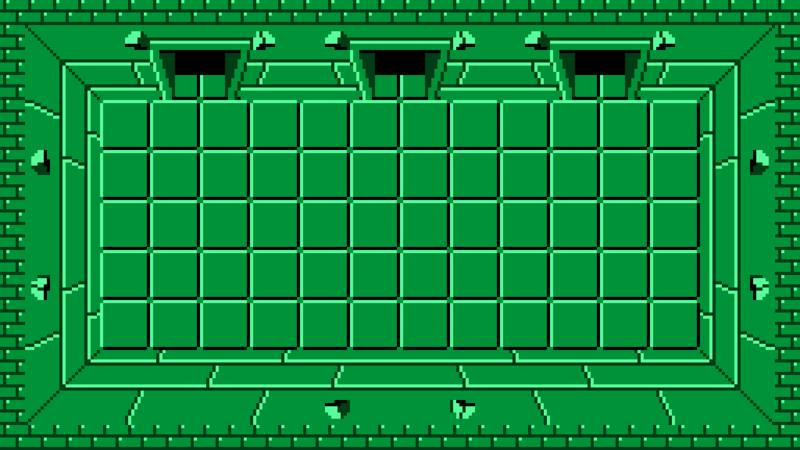 The default set had Link's color set to CSet 0's transparent swatch, rendering his position invisible inside dungeons. · Custom dungeon minimap support. 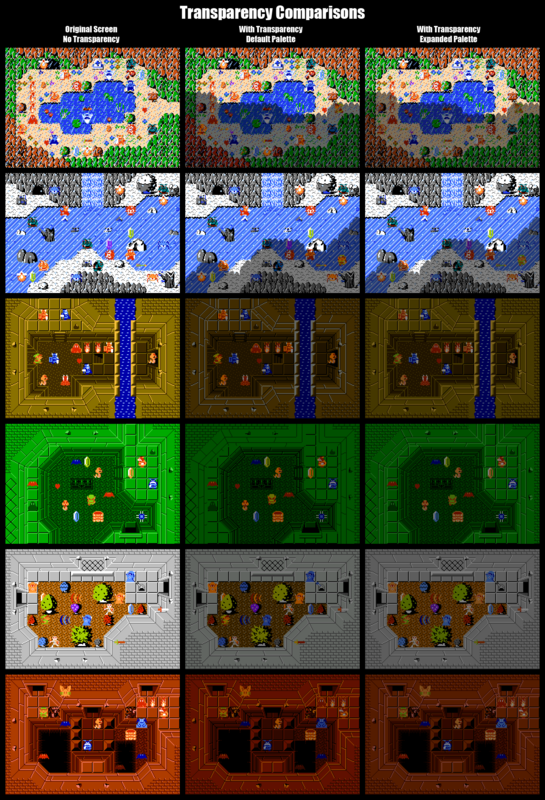 I've always appreciated custom minimaps and enjoyed making them myself, so I added a map coloring system to each level's CSet 9 and provided minimap templates and examples on tile page 69. I personally draw the maps using the darkest level color for the walls and the mid level color for the background, then I use yellow for locked doors, red for boss-locked doors, white for entry markings, and possibly black for bombable walls (and obviously orange for the map itself). After that, I like to override the default compass color with the lightest level color. 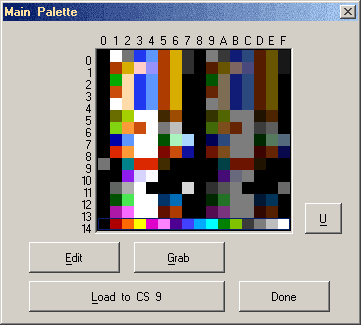 But of course, you can come up with your own way of using the colors, and there's also 4 blank swatches at the end of CSet 9 to add your own colors for your own purposes (perhaps to mark keys, special treasures, minibosses, or even warp systems). Use the colors in the magenta box to draw your maps, or add your own colors in the red box. 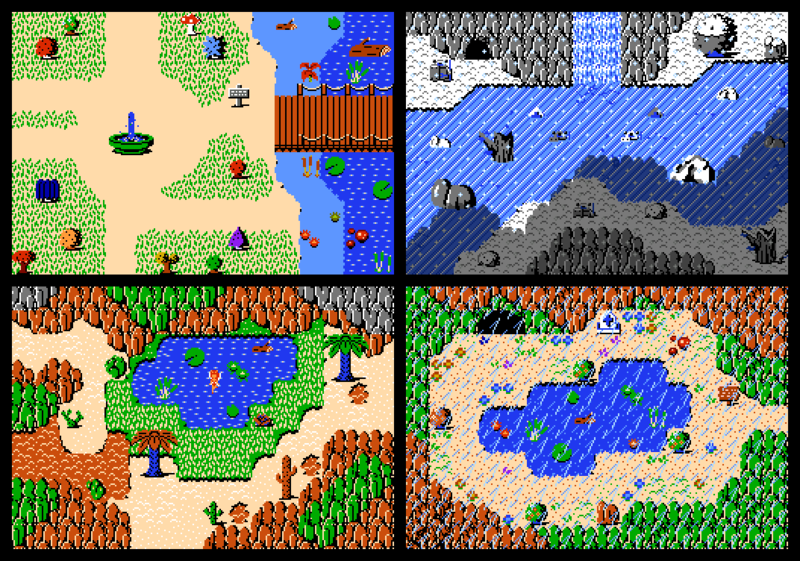 Tile page includes empty map variations, an 8x8 template, and an example. I might add brief instructional text as well. 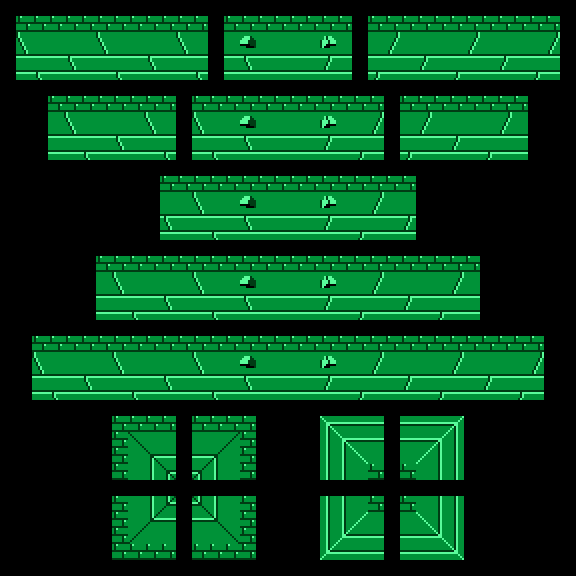 · Gray-colored CSet9 for dungeon item cellar/passageway palettes. For correct display of custom dungeon minimaps while in these rooms. · Crumbling Z2 sideview bridges now functional. With sound. Boop. · Wall ladders on diagonal corners. Only needed in 1st-tier-down ladders. · Alternate cycling mirror combos. 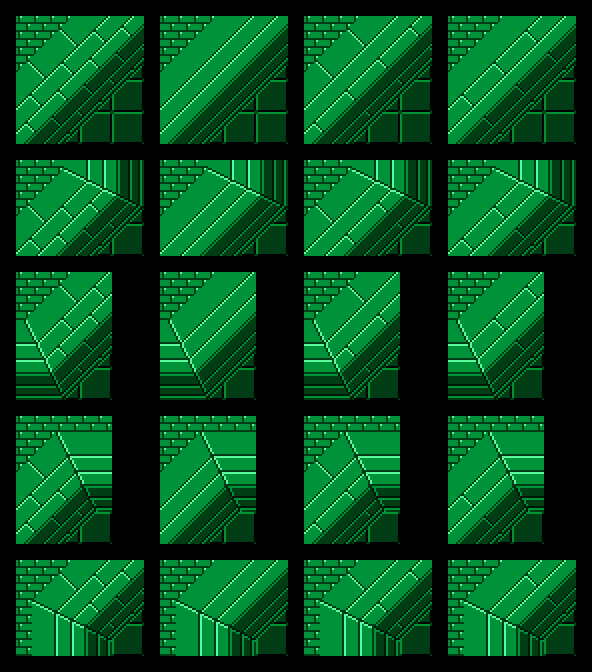 · Brick ceiling variant of upward dungeon staircases. · 1st-tier-down dungeon floors consistently shaded. · Dungeon nature section completed. · Dungeon water. Includes relational configurations. · Advanced dungeon carving lower level properly configured. · 5th combo "addendum" section: "Type: (None)" lockblock duplicates for use with FFC multi-lockblock script. · Further optimization of tile/combo arrangements. · A number of tile color tweaks. · Layerable overworld ground + field expanded detail. · Layerable small-tree tops. Leaves and stumps can be colored separately, just like large trees. · Layerable upward-staircase warps. Use with FFCs in dungeons to place stairs over different floor types, or off the grid. · Layer 0 support. Layerable options are provided for combo types that only function on layer 0, i.e. grass + switches, with the intent of supporting "layer 2/3 is background" screen flags. 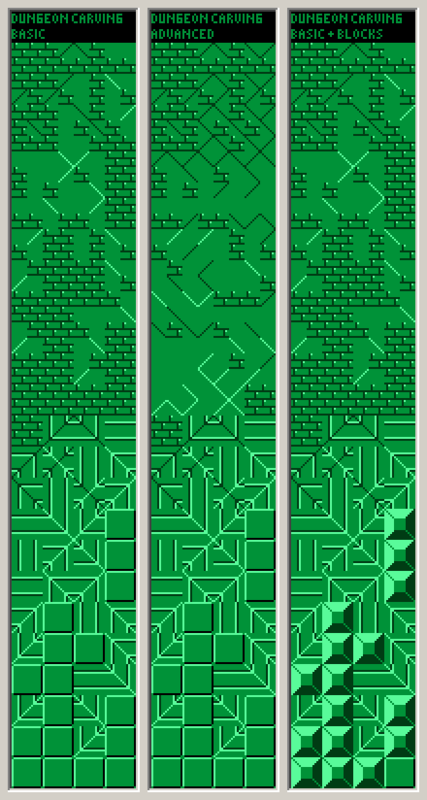 · Layerable dungeon diagonal walls. · Layerable Triforce entry flats. · Script pack completed, commented, credited, and linked. 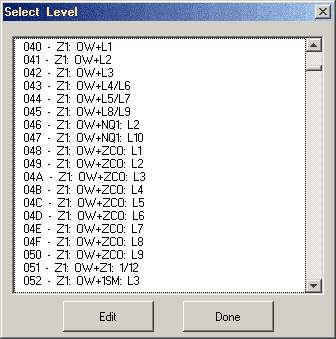 The RC2 ZIP now includes script files configured specifically for the set. Open the flmecbt.z file to see notes and guidelines on setting up each script. These are meant to be short-and-to-the-point infos, not lengthy explanations. I suppose my writing style may not be for everybody, but it's at least consistent across the file. · Dialogue bubble for NPC script. Now displays when you approach a talkable NPC using "NPC_Simple" script. · Separate sprite for falling in scripted lava. This feature isn't enabled by default, but if you want to modify the lava combos to use Moosh's pit script, this functionality is now available. · [NEW] Boots 2: Steel-plated Boots allow Link to walk over spikes/damage combos at no magic cost. · [NEW] Bow 1 & Arrow 1 Bundle: Gives both Normal Bow and Wooden Arrow when picked up. Increases arrow count to 10 (but not above). · [NEW] Bow 2 & Arrow 1 Bundle: Gives both Fast Bow and Wooden Arrow when picked up. Increases arrow count to 10 (but not above). · [NEW] Cane Of Byrna 2: 1/2 magic drain rate, has 2 beams that damage enemies/block projectiles, makes Link invincible. · [MOD] Hammer 1: For those who think the Hammer doing Magic Sword damage is overkill, this Hammer now does half damage (i.e. White Sword). · [NEW] Hammer 2: For those who think the Hammer doing Magic Sword damage is great, here you go. · [MOD] Hookshot 1: "Short" Hookshot is actually short (5 tile reach). · [MOD] Key: Level-specific keys and normal keys had their palettes swapped. · [NEW] Map & Compass Bundle: Gives both Map and Compass when picked up. · [NEW] Magic Book 0 (Dummy): Provided in Init Data to keep Wand melee and magic damage separate. No fire magic. Doesn't show in inventory. · [NEW] Magic Book 2: Wand magic does triple damage. · [MOD] Magic Ring 4: Fixed to always display full magic meter. · [NEW] Potion 3 (Purple): 3-use potion. Cannot be added up to by combining lower-level potions; must be picked up by itself. · [MOD] Ring 3 (Gold): For those who think the Gold Ring's damage divisor of 8 is too high, this Ring now has a divisor of 6. · [NEW] Ring 4 (Black): For those who think a damage divisor of 8 is great, here you go. · [MOD] Stone Of Agony: Functions as intended in ZC 2.53. Recolored orange. · [NEW] Stone Of Gravity: Keeps Link from getting knocked around when taking damage. Uses original silver Stone Of Agony graphic. · [NEW] Wand 2: Wand melee does triple damage. · [MOD] Whimsical Ring 1: Now has "whimsy sound" to indicate when its 1-in-15 instakill chance has activated (Z2 monster death sound). · [NEW] Whimsical Ring 2: 1-in-7 instakill chance. · [MOD] Sprites Restored: Digdogger (3 Kids), Octorok L1 & L2 (Fast), Octorok L3 & L4, Rope L2, and Traps (Horizontal/Vertical constant) now use their original Z1 sprites. · [MOD] Boulder: Z3 sprites replaced with upscaled Z1 rock. · [NEW] Darknut L4: Similar strength to splitting Darknut, but its steel plated armor blocks your Hammers. · [MOD] Dodongo: Never returns after death. · [MOD] Gleeok (Normal & Fire): Can be hurt by Silver or Gold Arrows. Fight me. · [MOD] Gel L2: Fire defense now "1/2 Damage" (was "None"). · [MOD] Leever L3: Step Speed now 200 (was 300). · [NEW] Like Like (Magic): Eats magic rather than shields. · [MOD] Octorok L3, L4 & L5 (Slow & Fast): Speed reduced by 1/8. · [MOD] Octorok L3: Fire defense now "1/2 Damage" (was "None"). · [MOD] Octorok L4: HP now 16 (was 20), Damage/W.Damage now 8 (was 12). · [MOD] Octorok L5: HP now 24 (was 40), Damage now 16 (was 20), W.Damage now 24 (was 40). · [MOD] Patra L1, L2 & L3: Reflected fireball defense now "1/4 Damage" (was "Ignore") to account for Ultimate Shield. · [NEW] Patra L2 & L3: Now have "oval" eye movement options instead of only "big circle." · [MOD] Stalfos L3: Does spin animation on attack. · [MOD] Wizzrobe (Mirror): HP now 64 (was 192), Damage/W.Damage now 16 (was 32). · [MOD] Zol L2: Fire defense now "1/2 Damage" (was "None"). · [NEW] Fire Enemies: To go along with ZC's Octorok L3, Wizzrobe (Fire), Zol/Gel L2, and Gleeok (Fire), there are now L1 fire attack variations of Darknuts, Lynels, Peahats, Gohmas, and Patras, each with "1/2 Damage" fire defense where applicable. · More NPCs / monster options. ...and that ends this very bold post. The expo's closing later today, and I'm hoping for a final release within 3-4 weeks, so if anybody's thinking of using this and/or wants to offer any last thoughts, please send me a PM here or get in touch with me on PureZC's official Discord server. Thanks again to everybody who's shown interest and offered feedback!